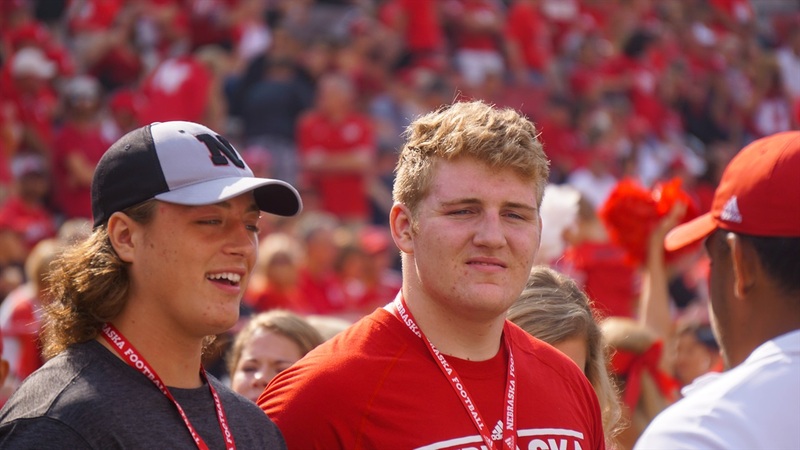 This weekend Nebraska had a number of official and unofficial visitors on campus to see Nebraska’s stunning loss to Northern Illinois. One of the unofficial visitors was 2019 4-star offensive tackle Will Putnam‍ from Plant High School in Tampa, Florida. He was definitely excited to experience a Nebraska game day before his visit. The big-time prospect had already been to Nebraska in the spring but was eager to get back and show his dad, Neil, everything that caught his eye on that first trip. Nebraska’s 2019 class will end up having a huge emphasis on the offensive tackle position since the 2018 class is currently without a commit at the position. There is still time for Nebraska to make a push with a few prospects but it doesn’t look great right now. Putnam really enjoyed himself despite Nebraska taking a tough loss and still came away impressed.